#1 New York Times bestselling author Joel Osteen presents a program for transforming your self-image and changing your life. 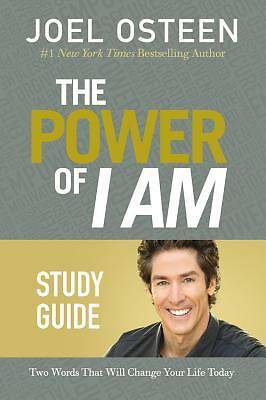 Based on Joel Osteen's book, THE POWER OF I AM, this study guide presents intriguing questions, challenging activities, and encouraging insights that will inspire you to use two simple words--I AM--to start living your best life. Designed for both individual and group use, this interactive book will guide you to strengthen your faith and grow your self-assurance to experience amazing breakthroughs. With Joel Osteen as your personal guide, learn to invite the right things into your life. Once you begin to harness THE POWER OF I AM, you can redirect your life's course to a path of confidence and success.